Sea view new build for sale in Altea, Costa Blanca. 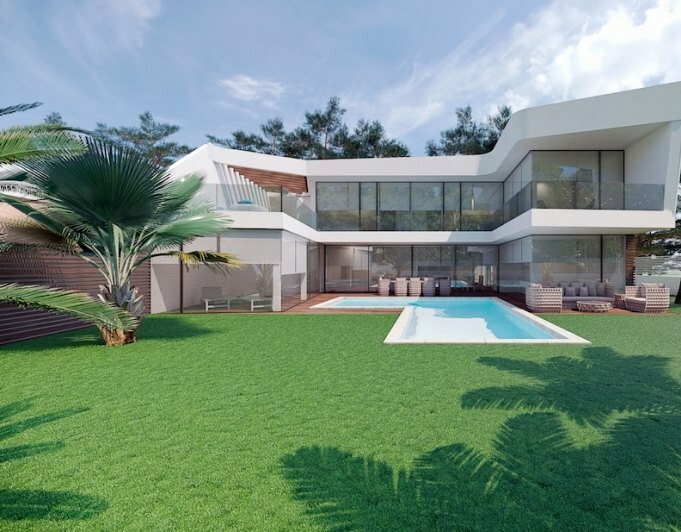 New build villa for sale in Altea Hills, Costa Blanca. This exclusive luxury villa, situated in a commanding location less than 5 minutes driving from the beach and Altea and 15 minutes drive away from Calpe. The villa is one of the best examples of contemporary Mediterranean architecture creating an abundance of geometry, light and space. The property is located on a raised plot with wonderful open sea views and within easy reach of the beautiful Mediterranean town of Altea on the Costa Blanca. Less than 15 minutes drive away from Calpe and Moraira and approximately one hour away from Valencia, the area combines the calm feeling of a fishing village of Altea with the cultural events offered by the big cities. In every room, the entrance of light has been optimized to maximize the comfort. The huge windows in the lounge have open views to the pool and landscaped garden. The whole house has been designed to obtain the maximum privacy in the villa, pool and garden areas.